We enjoyed our day at the Lexington BBQ Festival. While it was a little cold and windy, that didn't stop the people from coming out to enjoy all the bands, food and shopping. Me and my girls took a break and went to see Britt Nicole and what a delight she was! First of all, I was so happy to see a Christian artist on the line-up of artists at the festival this year. Britt Nicole was so sweet and made a special effort to acknowledge the young kids in the audience, you could tell she had a heart after God. What a great role model for girls and boys who are struggling to find their true identity. It is only found in the Lord Jesus Christ. Thanks Britt Nicole, you made my day even Brighter sharing the love of our Lord and Savior. Here the bees are enjoying the ligustrum flowers. 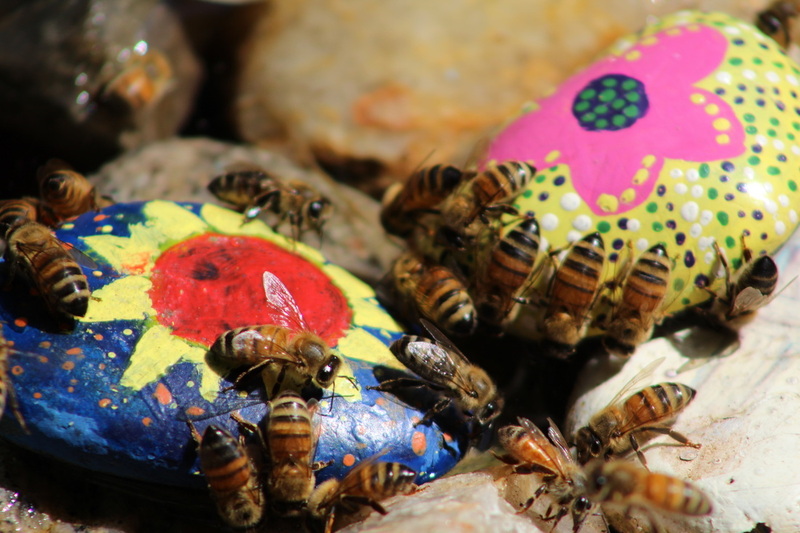 During the spring time the bees are busy gathering pollen and nectar. Sometimes they are covered from top to bottom. Bees require a lot of water. 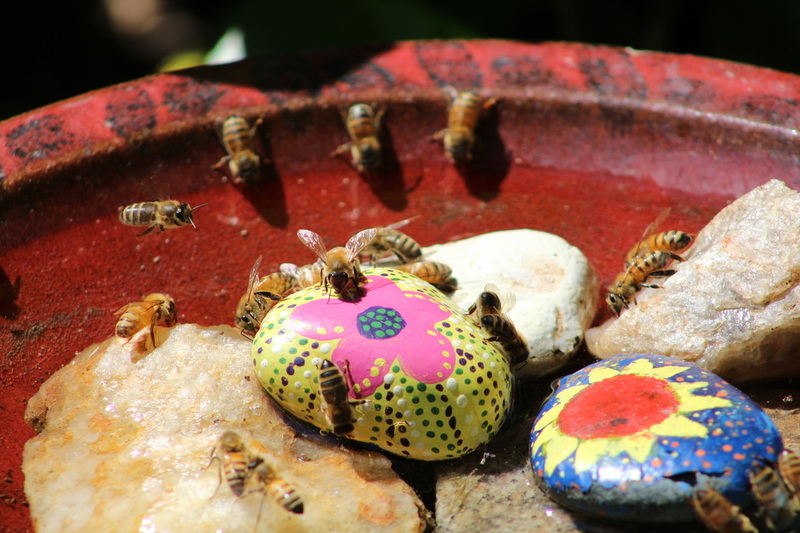 It is important to have a water source nearby, because water is heavy and hard for them to carry. 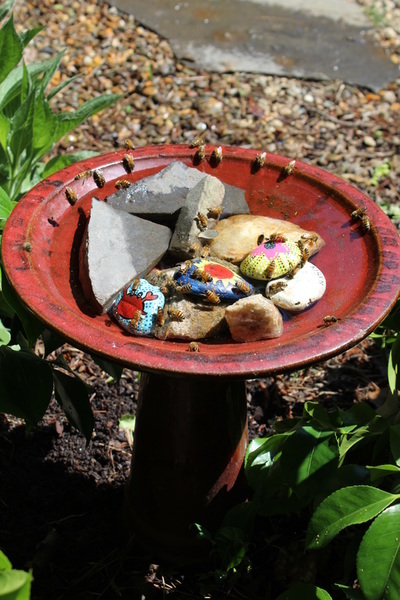 We have a bird bath with rocks, so they don't drown, that we have to fill everyday. Who would guess that honey bees would produce honey in November? 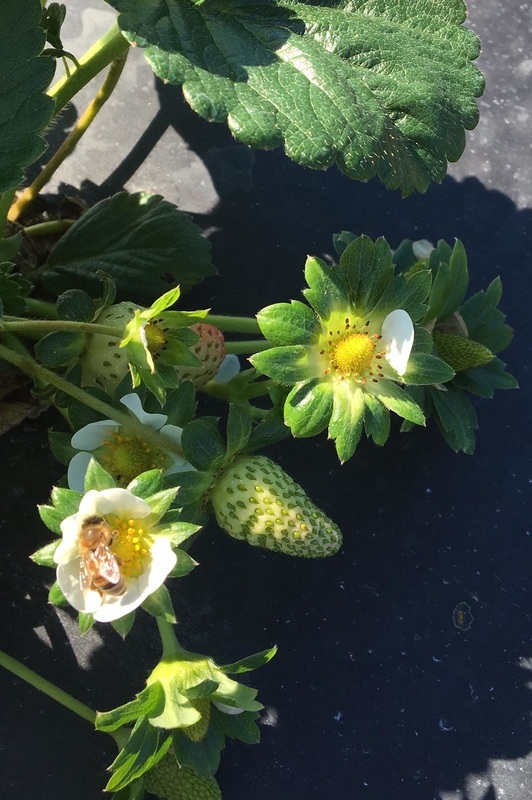 Our bees are busy gathering sweet nectar from the blooms of a late crop of strawberries just outside of Raleigh. 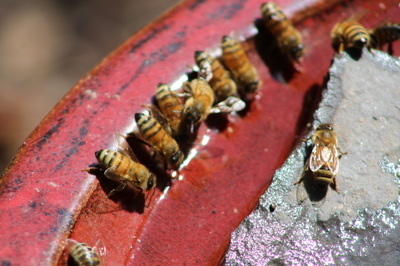 Pollenating crops not only increases the yield and quality of the fruit, but provides honey for the bees' winter survival.